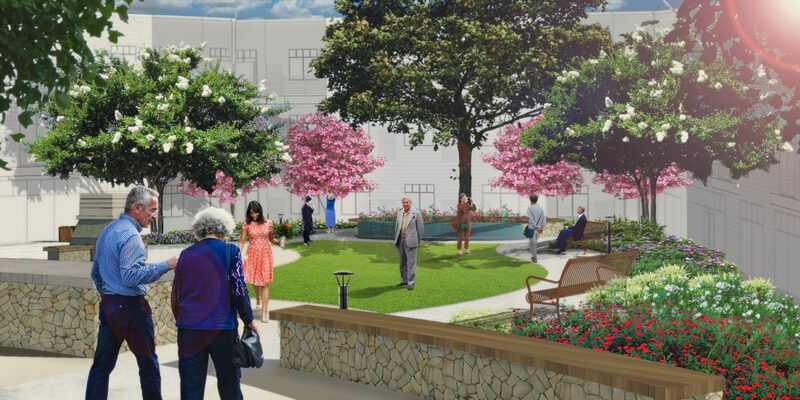 Watermark will be a 195,000 square foot senior housing center with a three-story complex to house 73 seniors in independent living rooms, another 73 in an assisted-living center and memory-care space for 21 dementia patients . It will also feature a outdoor central courtyard, fitness center, community center, chapel and café. This Project includes the entire renovation of an existing hotel property including a new resort pool and landscaped courtyards. The property will also include a new signature and innovative building adjacent to the existing property. Upon completion of the entire property it will be re-branded as a Curio Hotel. The new building will also be a gateway to the City of Napa’s downtown area. A 2018 Golden Nugget Award of Merrit winner, Canon station will offer unique retail and living experiences in Fairfield, California. outdoor spaces enhance the organic, modern and engaged new lifestyle. The proposed Civic Center will consolidate City administrative and public safety functions into a four-story building creating a western gateway to Downtown Napa fronting the north side of First Street. An Urban Village is designed to create a vibrant, walkable, mixed use urban community in San Jose. 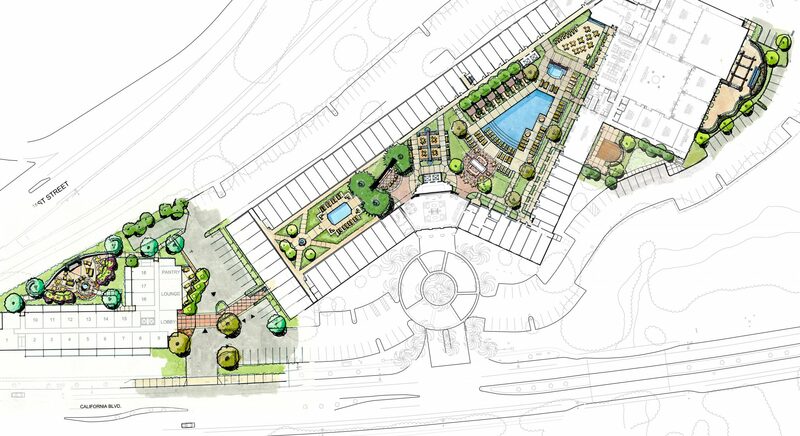 This TOD project provides housing adjacent to an existing transportation station in San Jose. This parklet is the beginning of the newly created “Rail Arts District”, part of the Napa Valley Wine Train and Vine Trail Corridors.